Why buy new when you could own this fabulous Lennar "Sierra Mesa plan on a huge lot that backs to greenspaceNo Back Neighbors! Dont wait 8 months to build, this home is move-in-ready with all the extras! 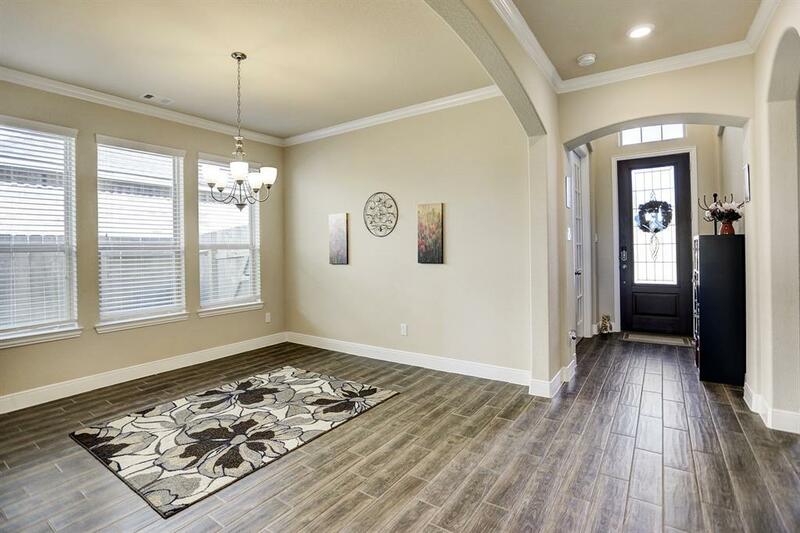 As soon as you step in you notice the beautiful upgraded tile wood grain floors throughout the 1st floor living area. A kitchen to die for with large island plenty of room for 4 bar stools also featuring beautiful granite counter tops, 42 designer cabinets with underlighting and all appliances plus washer, dryer and refrigerator are included. Stunning 2 story family room with stone fireplace and wall of windows looking out to the huge backyard big enough for a pool. 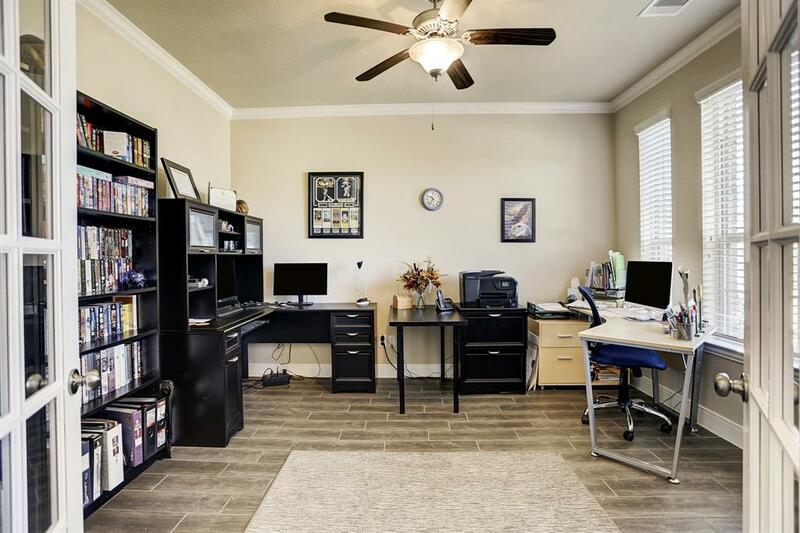 Spacious master also over looking backyard and 2nd bedroom on first floor with full bath. 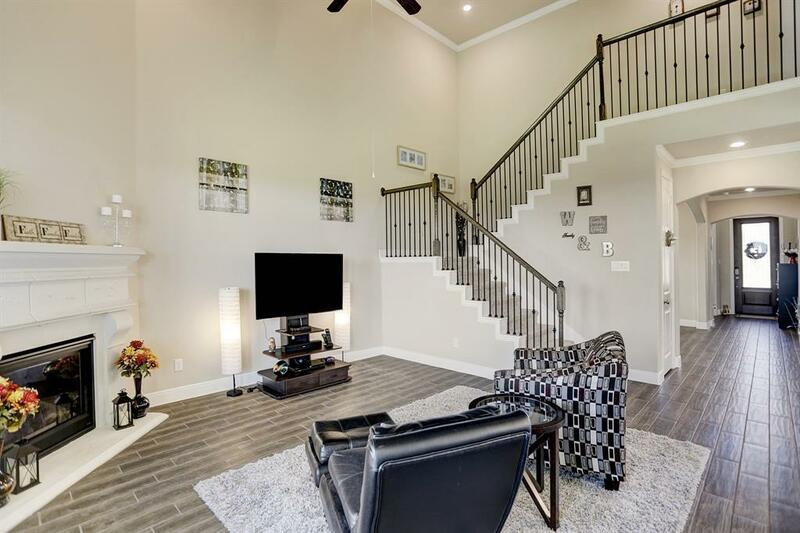 Second floor features a game room with attached media room and 3 large secondary bedrooms. 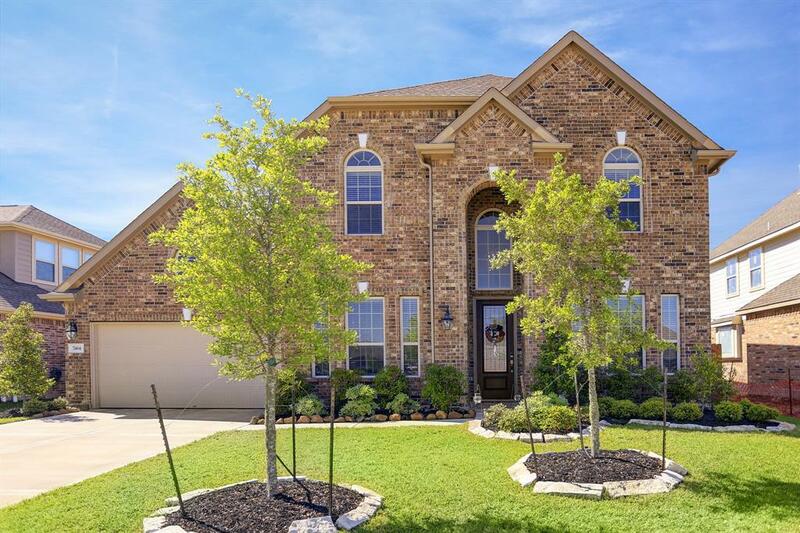 Highly rated schools makes this one of the most desirable areas to live in Rosenberg. Close to Brazos City Center and I69.